Last Friday President Obama signed the long-awaited Achieving a Better Life Experience (ABLE) Act into law. This is a major step in the right direction for Americans living with disabilities, who, prior to the bill’s passage, had little incentive to save any money they earned and were practically forced to live below the poverty level. If a disabled person earned more than $700 per month or had assets in excess of $2,000 they risked having to forfeit eligibility for government programs. The only way families could get around these restrictions was to spend thousands of dollars in legal fees setting up special trusts. The ABLE Act has created a way for families to adequately save for the future as a supplement to private insurance and public benefits. What is a 529A account? Between doctor visit co-pays, medical equipment, education, therapy and other necessary expenses, the cost of raising a special needs child can top the $2 million mark over the course of a lifetime. With the ABLE Act, families are able to save money for future expenses in a tax-deferred 529A account without having to give up eligibility for public benefits, as long as the funds are spent toward qualified disability expenses. These accounts are administered by the states, similar to 529 education savings accounts. The annual contribution limit is $14,000 per individual, and total contribution limits vary by state. However, only the first $100,000 saved in the account is exempted from the Supplemental Security Income (SSI) $2,000 limit, and beneficiaries with account values greater than $100,000 will not receive any SSI benefits (but will still receive Medicaid). 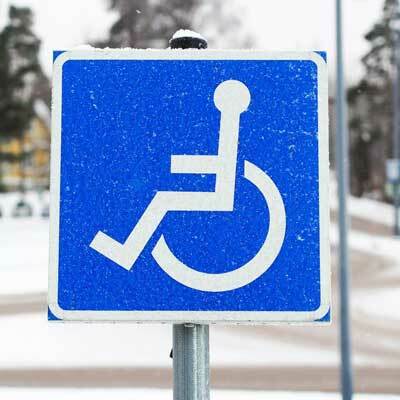 What is considered a qualified disability expense? Just like a 529 college savings account, funds in a 529A account must be used toward qualified expenses to realize the full potential of the tax benefits. Yet unlike a college fund, the money in a 529A plan will be spent over the course of the person’s lifetime on purchases related to living with a disability. Qualified expenses include education, housing, employment training and support, health care and financial management. 529A plans are intended for individuals living with significant disabilities that have been diagnosed before they turned 26 years old, with a condition that expected to last for at least 12 consecutive months. There are also special provisions that allow parents who have saved money in a traditional 529 college savings account to roll the money into a 529A account if their child is later diagnosed with a special needs condition such as autism. There are a few key differences between saving for disability-related expenses and saving for college. The first is that with a 529A account you must open your own state’s plan, or the plan your state has a contract with. With a 529 college savings account you can invest in almost any state’s plan. Next, when a parent contributes to a 529A account it is considered an irrevocable transfer, meaning that it cannot be taken back. This differs from a college savings plan, where the parent can use the money for their own purpose but will incur a 10% penalty on the earnings. What’s more, the beneficiary of a 529A plan is also the account owner so parents or grandparents are not able to “gift” to the plan to use it as an estate-planning vehicle. Will there be an impact on existing 529 college savings plans? Yes! Current 529 college savings plan owners have previously been restricted to only making one investment change per year. The ABLE Act has made a change to all existing 529 plans that allows for twice-yearly investment changes. Just as you make changes to your retirement portfolio based on changing investment objectives, you also should make sure your college fund investments are on the right track. Even if you are in an age-based portfolio that automatically shifts investments based on the age of the beneficiary, you should still monitor the plan’s performance. If you see something you don’t like in 2015 you now have two opportunities to change it.